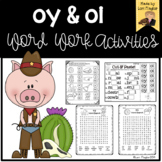 Sir Oinks-a-lot Working with oi and oy words Activities, worksheets and a book! Students cut and paste words with au or aw (like boy and coin). Words correspond with treasures reading series (first grade) Unit 6 week 5. 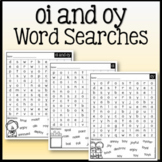 Also included with this purchase (Read/Write and Draw) oi and oy words worksheet. 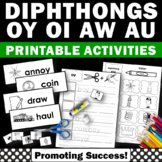 Sort -oi and -oy pictures and words. 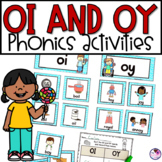 Also read & draw -oi and -oy words (this includes an extension version with sentences instead of just words). 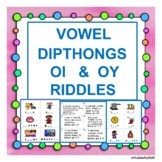 Vowel Pair oi and oy - Word Work! 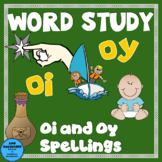 oi and oy word family worksheets consists of a cut and paste and say, spell, write worksheets and fill in sentences. Great for small group and centers. I use this as a differentiation piece for my lower than first grade level students during our reading and spelling time. This goes along with the oy and oi sound in the McGraw Hill Wonders Unit 5 Week 5. 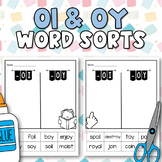 Provide coins in your word work center to practice oi and oy words! Quick and Easy!